SEC Audio Visual Services. 1993. Producer: Barry Woodhouse. Director: Tina Jones. CD(t) (OP) Archon Music. ARC005. 1995. "WORLDS APART". 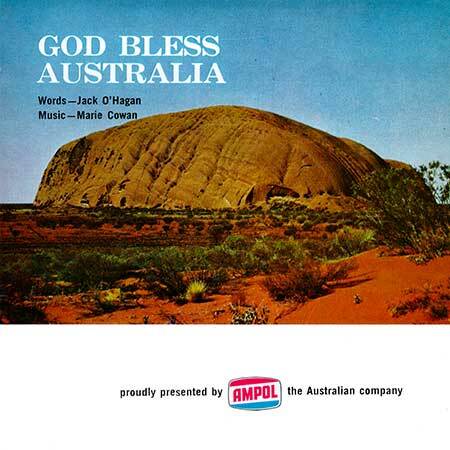 Three minute short presented by Ampol Petroleum, and screened on Channel Nine on 28th January 1968 as a tribute to Australia Day. 45 (ST) No number. (m). Red Flexi-disc. (Picture sleeve). 45 (ST) Allan's. MX-25679. (m). (Picture sleeve). 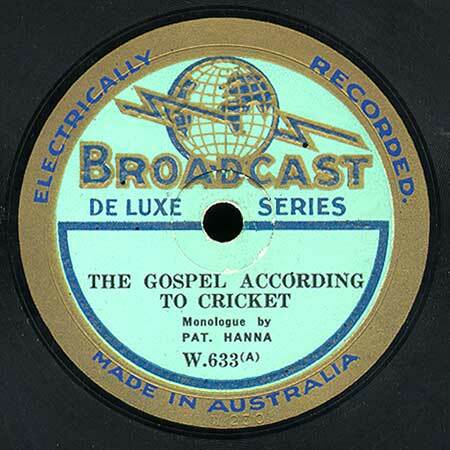 Theatrical short featuring Pat Hanna as a clergyman, preaching about "Australia's Eleven". Efftee Film Productions. 1934. Director: Frank W. Thring. 78(a) (OP) Broadcast De Luxe Series. W.633(a). (m). 1934. 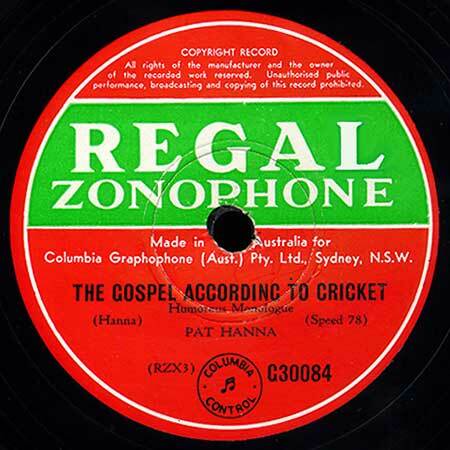 78(a) (OP) Regal Zonophone. G30084. (m). CD(t) (IN) Ian Dodds. IDCD10. 1998. "AUSTRALIAN MEMORIES". 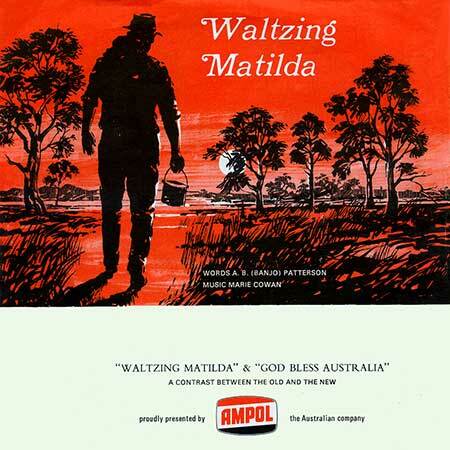 Documentary about the activities of the Australian Army. Kingcroft Productions, Film Australia. 1976. Director: Terry Ohlsson. LP (ST) Festival. L-36020. 1976.